Expansive Home with 2 Double Car Garages! Bathrooms: 3 "2 Full, 1 Powder"
Garage: 4-Stalls, Attached "2 Double Car Garages"
New $229,000... Mediterranean Inspired Villa in Palos Verdes North II, where you can walk to The Canchanilla Pool complex! 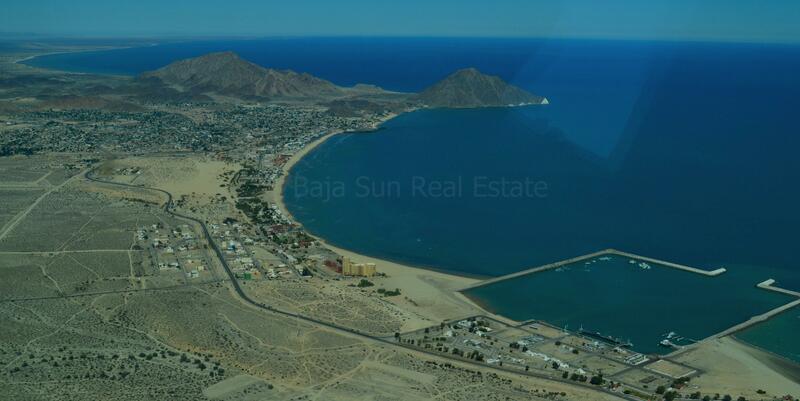 Featuring an oversized single lot maximizing The Sea of Cortez and Punta Macharro views, walk in to find an inviting and open living area. In the chef's kitchen you will find GE Profile stainless steel appliances including side by side refrigerator, wall oven, microwave, electric cook top with vent hood, dishwasher, garbage disposal, and oversized sink. Beautiful wooden cabinetry compliments the granite single slab counter tops, fully tiled backsplash and the bi-level entertainment bar that seats up to six people. A sliding glass door adjacent to the dining space maximizes the Sea of Cortez views while leading out to the tiled, covered rear patio & outdoor entertainment area. Again bar seating is offered to optimally entertain at the outdoor kitchen in addition to the dining set offered. No doubt your guests will be pleased by the views provided at this location! The Master Suite is spacious and features an expansive walk-in closet, his and her glass vessel sinks, and the generously sized glass block accented, walk in shower with bench addition. Both sea view bedrooms are nicely sized, with the third bedroom currently serving as an office space. With the powder and laundry rooms located near the attached garage every convenience has been taken into consideration with this home. Each of the double car garages is tiled and outfitted with mini split air conditioning units, offering no shortage of work and storage space! This property is currently in an HSBC fideicomiso, which is the process of being transferred to a new bank trust.